Sometimes, a negligent party will offer faulty safety equipment or nothing at all, putting employees at risk of bodily harm. Working at a height, workers should use safety equipment like harnesses, safety railings, ladders, scaffolds, and safety netting when applicable. When these and other forms of safety equipment are not used or offered, everyone is at risk. If you have been injured due to a lack of safety equipment, the wrong safety equipment, or faulty equipment, you may be able to recover damages based on the negligence of your employer or a third- party. In the case of your employer, Workers’ Compensation covers the financial burden of the injury and is paid through the employer’s insurance company. In the case of third-party neglect, you may have to sue for damages. If your Workers’ Compensation covers your medical bills, you may be responsible to pay back your employer for some of the recovered damages as they supported you in the stead of someone else’s negligence. At The Noll Law Firm, P.C., experienced attorneys are available to assist you in recovering damages for your personal injury due to the violation of safety equipment regulations. Our firm has the persistence to fight for your rights as a worker. 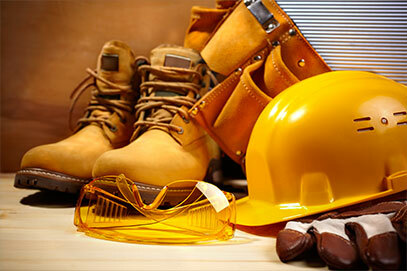 We have years of experience and knowledge of labor laws and OSHA regulations. If you have been injured because of someone’s neglect, don’t let it financially burden you. Medical bills, future lost wages, and impacts on future employment are just some of the obstacles you may face. Our attorneys have the persistence and dedication to make sure you get what you deserve. Contact The Noll Law Firm, P.C. today for a consultation. Do I have to be out of work in order to have a claim? Who is responsible if I was injured on a job site? Can I sue if I was injured at work?